Can Experiential Retailing Help Differentiate a Brand? Has Price Competition Become Your Brand Strategy? Collaboration, Innovation and Branding: Is Brainstorming Effective? Distility CEO Axle Davids on BusinessCast, the podcast for entrepreneurs. Apple Brand Strategy Leaked in Microsoft Slide! Does Your Wordmark Focus Attention? Brand Copywriting: What Is Your Brand’s Voice? When Is It Time to Redo Your Brand’s Website? Inbound Marketing Step 1: Is Your Brand Ready to Start Inbound Marketing? Should Brand Strategy be Actual or Aspirational? How Often Should a Company Rebrand? The Case Against B2B Branding. Why brand if we are B2B? Do I have a brand? What if Your Brand was on the Drug Called Charlie Sheen? Who Benefits from Quality Brand Strategy? Brand Analysis, Strategy, Systems: What do You Need? Are You Ready to Brand? Really Ready? Really? The Diffuse Brand Strategy – What Went Wrong? Mission Statements. Why They Make Me Cry. Yahoo! Logo Rebranding – Where’s the Avatar? The End of aXle Branding. The Start of Distility Branding Agency. Toronto Branding Agency Distility, just like Google! What Is the Hybrid Brand Architecture? What is a Sound Trademark? What Is Your Company Naming Strategy? Is Your Brand at Risk as You Grow? 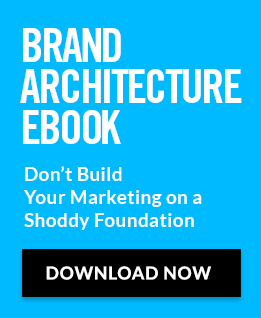 Brand Architecture Basics: What Is a Sub-Brand? How Do I Get Branding Done? Would you wear a bad suit to meet your best customer? Critical Branding Conversations: What Are We Selling? Who Should You Include in a Branding Workshop? What Should You Pay for Branding? Brand Scam: Buying Too Darn Much! Add Your Quote for Brand Scammed! Brand Scam: Buying Too Little. The future of advertising agencies looks like this? Toronto Branding Agency has Microsoft Surface?